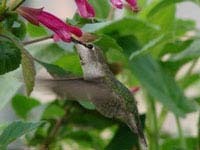 If you are a hummingbird gardener and would like to suggest a topic for us to cover in our Everything Salvias blog, please write or call. 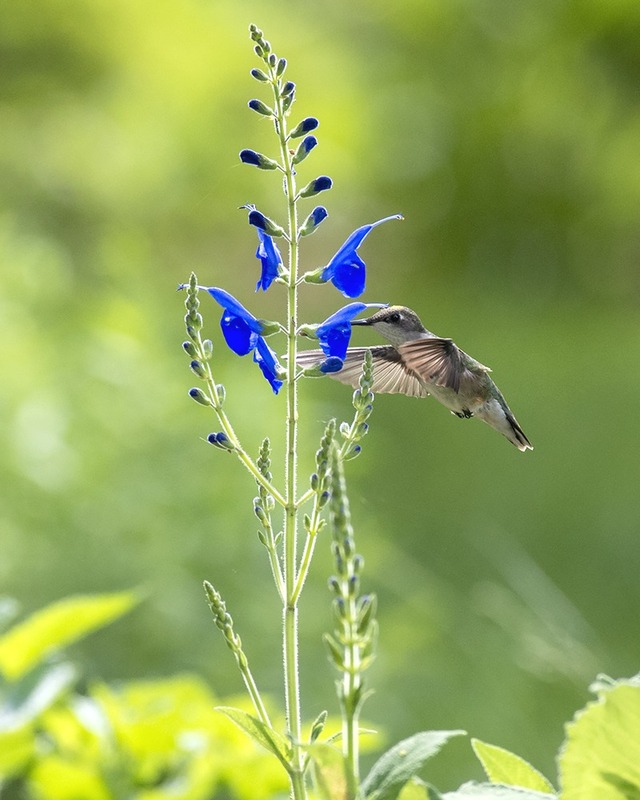 Planting a hummingbird garden filled with nectar-rich, long-blooming Salvias aids preservation of hummingbird species that migrate each year throughout North America. 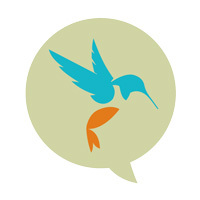 It also gives you a front-row seat to a fascinating aerobatics show. 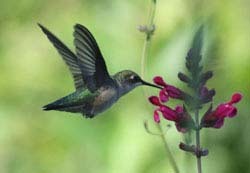 Backyard islands of colorful sages are like gas stations for hummingbirds' long-distance journeys. 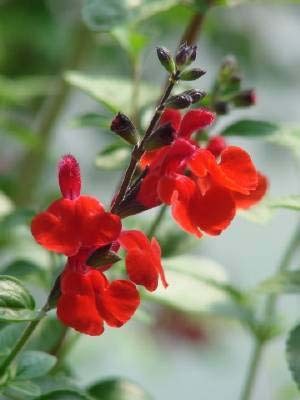 Salvias can keep your garden whirring with the helicopter-like flight of hummingbirds from spring through autumn and -- in warm climates -- into winter.